Los Angeles Yacht Club will host regatta for Southern California PHRF handicaps on Feb. 2. SAN PEDRO—The Catalina Channel will be filled with yachts racing against each other as the competitively trek from San Pedro to Catalina Island and back on Feb. 2 as part of the 2019 Midwinter Around Catalina Island Race. Los Angeles Yacht Club hosts the regatta, which is open to yachts with a current Southern California PHRF handicap. Entries must be submitted by 6 p.m. on Jan. 31; the entry fee is $80. Late entries will be accepted at the discretion of the race committee chair. Sailing instructions will be available to competitors by 5 p.m. on Jan. 26. Racing begins at 11:55 a.m. on Feb. 2; the start line will be three-quarters of a mile from Angels Gate, just inside Los Angeles Harbor. The finish line will be in the same area, also inside Los Angeles Harbor. “The course to be sailed will be as follows: start, leave Santa Catalina Island to port, and return to finish,” the Notice of Race stated. A trophy presentation will take place at the Los Angeles YC clubhouse; the reception starts at 5 p.m. on Feb. 3. 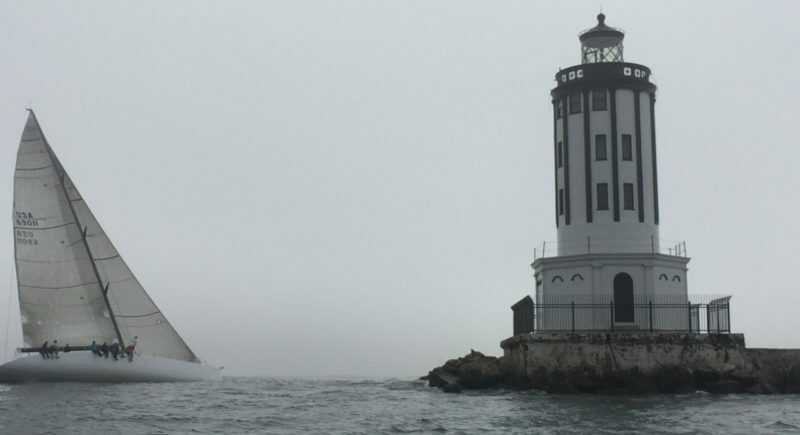 “The Mayor Norris Poulson Trophy for the Mid-Winter Around Catalina Island Race will be awarded to the overall winning yacht on corrected time in PHRF,” the Notice of Race stated about the regatta’s top prize. Complimentary hors d’oeuvres will be available at the trophy presentation reception, according to race organizers. Limited berthing is available at Los Angeles YC. Contact Kevin Heffernan, the race committee chairman, at 626-255-1856 or racing@layc.org with any questions or requests for information. Los Angeles YC is located at 285 Whalers Walk in San Pedro.